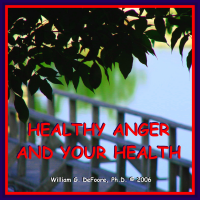 Dr. DeFoore's Healing Anger Newsletter entitled "Make Your Anger Work For You"
Your natural-born anger is good, right, and perfectly designed to serve your well being. The problems we have with anger are because it is condemned, ignored or punished, which causes it to retreat into the dark recesses of your being and become dangerous to you and others. So, to make anger your ally, we'll start at the beginning, by looking at the original purpose of the emotion of anger, and go from there. Your anger is for your protection, plain and simple. 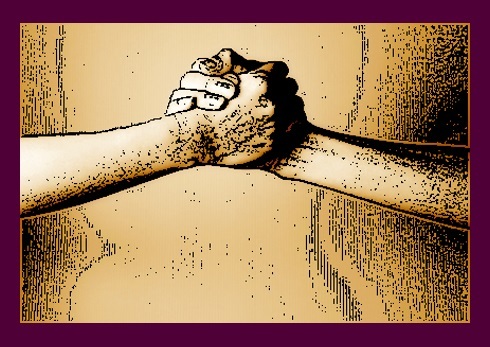 It is "a feeling one has when threatened or opposed," as defined in the Thorndike-Barnhardt dictionary. So, all you have to do is learn to protect yourself in safe, healthy, functional ways where you don't hurt yourself or anyone else. You can accomplish this by learning and practicing good conflict resolution skills and assertive communication. The other essential step is to become a very positive person, by focusing on what's good, right and working in your life. Otherwise, you'll get too easily sucked into the frustration of a problem focus, and your anger will take over again. "When your anger becomes your ally in good and right action, it turns into motivation, determination and enthusiasm for the fulfillment of your dreams and desires." If something seems missing here, that may be because your anger has become toxic, and needs healing before you can successfully use the conflict resolution skills and assertive communication. If that's the case, take advantage of the many tools we offer on our web site for healing toxic anger. As we said above, anger starts out as a good, natural emotion designed for your protection. It ideally is a faithful ally to your good and sometimes tender heart. 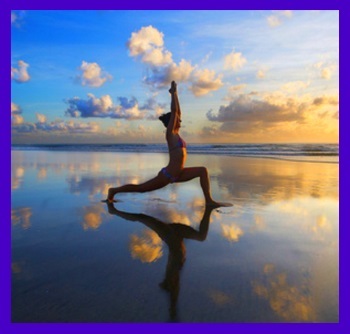 So, it's not that much of a stretch to imagine this wonderful strength and power within you operating to fuel healthy, effective action that makes you safer and more successful in all you do. Come up with a positive mental image of your internal protector. Put as much detail into this as you can, and make sure it's an image that feels good to you. List all of your personal values, for example, the top ten most important things in the world to you. Now, using the creative power of your imagination, picture yourself taking effective, focused action in total alignment with your values, with the positive image of your internal protector by your side, supporting you every step of the way. Finally, journal about how your life will develop and change in wonderful directions as a result. This is what you were born for...to use your personal power and strength to fulfill your own, individual mission and purpose in life. This highly effective audio program, available as a CD or MP3 download, will help you understand how anger affects your health, and what you can do to make sure all of your emotions are healthy, including your anger. Get your copy now. New web pages for you. Read new contributions from good folks like you, such as I Feel Like I'm Out Of Balance With My Relationship Patterns by a woman who is clear that she's caught in a pattern of unhealthy relationships and is looking for guidance, and this story by a young man trying to save a relationship damaged by his anger: It Can't Be Too Late For Us.